Link to the full report is below the article. 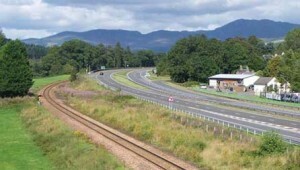 Fitting Landscapes provides the Scottish Government’s policy statement addressing the landscape design and management of our transport corridors. Such corridors can be major elements in the environment. It is important that they are designed and managed not only to meet their functional objectives but also to fit with the landscape through which they pass – reflecting local distinctiveness, conserving and enhancing areas of high quality or, where appropriate, creating a positive contrast to the natural setting. The Scottish Landscape is one of our prime national assets. It is diverse in type, distinctive in character and much of it is of high scenic, ecological and cultural value. Transport corridors are often one of the main ways through which people experience this landscape, whether as a visitor travelling distances to remote destinations or as a commuter travelling to work. It is vital that this experience is recognised, supported and enhanced by sensitive and appropriate design and management practices. 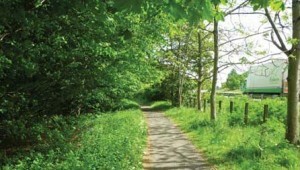 Fitting Landscapes updates, builds upon and widens the scope of the successful Cost Effective Landscape: Learning from Nature (1998) and aligns Transport Scotland’s landscape policy with Scottish Government policies on sustainability and the environment. The updated policy encourages broad consultation and greater integration between landscape architects, engineers and all those involved with designing, constructing and maintaining transport infrastructure. It promotes the adoption of an ‘outcomes’ approach with a focus on the differences and benefits that can be made, and not just the inputs or processes involved. To this end, the policy framework set out in this document is neither prescriptive nor narrowly based on procedure. It seeks intelligent and balanced design-led decision-making that supports clear outcomes and delivers a more sustainable and inclusive approach to high quality design and management of Scotland’s transport corridors. Transport landscapes must be designed to reflect and protect local characteristics and distinctiveness or, where appropriate, create high quality positive contrast.